Please take some time to look at the list of local attractions that make Silverdale such a wonderful place. 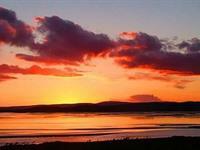 From the views of Morecambe Bay to the Leighton Moss RSPB. 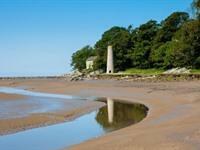 below is just a small selection of what Silverdale and the surrounding area has to offer. 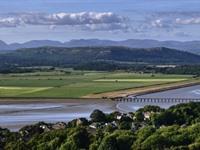 In the neighbouring village of Arnside you can visit the Knott, a limestone hill on the edge of Arnside that is 522ft above sea level. While up there you will find plenty of wildflowers such as orchids in late spring, rare butterflies like the High Brown Fritillary plus roe and Fallow Deer can be found in the woodland area, and to top it all off you have a wonderful view of the bay and the surrounding countryside. There is also a large car park so it can be used as a great base for lots of walks. 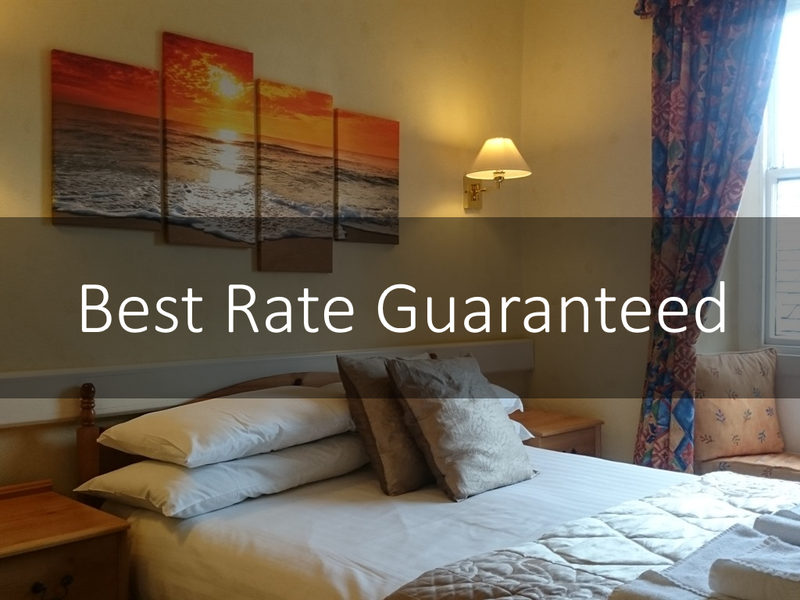 Silverdale Shore can be seen from many of the rooms at our hotel and is only a minutes walk down the road. The shore offers beautiful landscape and wildlife. There are limestone caves to venture into and cliffs to climb, if you are lucky you might spot red deer in the tall grasses on top of the cliffs. One of the best views in the village is the sunset down on the shore, it can be spectacular. 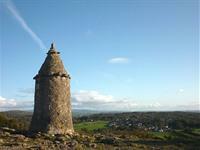 The Pepperpot can be found at the highest point of Eaves Wood, and is a 20ft stone memorial built in 1887 to commemorate the Golden Jubilee of Queen Victoria. From this point you get a fantastic panoramic view of the entire village and on a clear day you can see as far as Lancaster and even Blackpool Tower.The Pepperpot can be found at the highest point of Eaves Wood, and is a 20ft stone memorial built in 1887 to commemorate the Golden Jubilee of Queen Victoria. From this point you get a fantastic panoramic view of the entire village and on a clear day you can see as far as Lancaster and even Blackpool Tower. Within 10 minutes walk from the hotel you will wander across 'Jack Scout' the headland leading down towards 'Jenny Brown's Point'. 'Jack Scout' is one of only two cliffs on the Lancashire side of Morecambe Bay. Here you will find plenty of wildlife and also the 'Giants Seat' a large limestone seat which is the perfect rest stop as it has panoramic views of the entire bay area. If you follow the shoreline you will arrive at 'Jenny Brown's Point' an old jetty used for ships to transport material to and from the copper smelt mill, but all that remains of this mill is a large chimney. 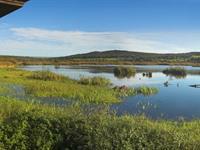 Leighton Moss is a bird reserve that boasts the largest reed bed in the north west. This is a great place for bird spotting even if you are new to it. There is plenty to see and for the keener eye there are plenty of rarer species to spot from the many hides that are scattered around. There are also plenty of trails to follow where you can see wild flowers, butterflies and deer.Leighton Moss is a bird reserve that boasts the largest reed bed in the north west. This is a great place for bird spotting even if you are new to it. There is plenty to see and for the keener eye there are plenty of rarer species to spot from the many hides that are scattered around. There are also plenty of trails to follow where you can see wild flowers, butterflies and deer. 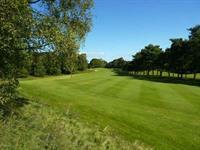 If you enjoy golf then this all year round, 18 hole golf course must be tried. The views from the greens overlook Leighton Moss RSPB to make an already picturesque golf course even better. The course itself is renowned for its 13th hole the 'plateau' which in 2003 was voted 24th most extraordinary hole in Britain. Another great feature here is that the grounds are built on limestone, which is excellent for drainage so you will very rarely be rained off.If you enjoy golf then this all year round, 18 hole golf course must be tried. The views from the greens overlook Leighton Moss RSPB to make an already picturesque golf course even better. The course itself is renowned for its 13th hole the 'plateau' which in 2003 was voted 24th most extraordinary hole in Britain. Another great feature here is that the grounds are built on limestone, which is excellent for drainage so you will very rarely be rained off.